If you’re in London this Wednesday 23rd September Liam Young will be speaking at the Launch for the first issue of the Bookazine Beyond: Short Stories on the Post Contemporary. 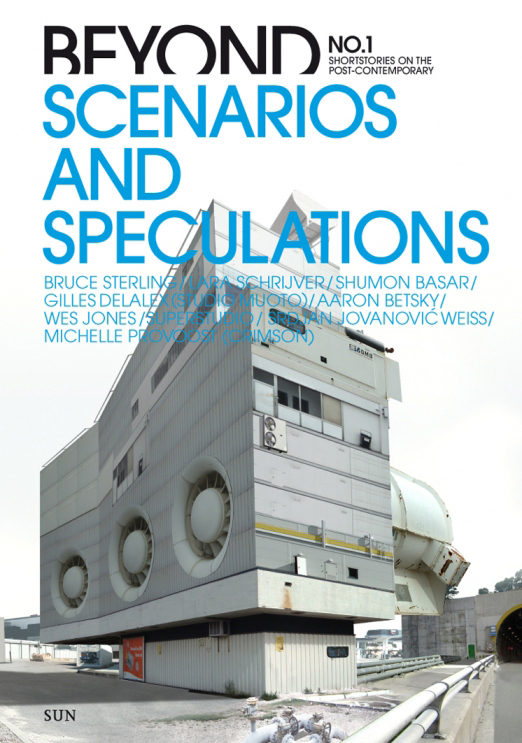 The first volume is themed Scenarios and Speculations and includes contributions from Bruce Sterling, SuperStudio, Wes Jones, Aaron Betsky, Sam Jacob, Shumon Basar and many more. The event will begin with a presentation on Urban Fictions by Colin Fournier followed by a roundtable discussion with Liam Young, Sam Jacob and book editor Pedro Gadanho. Beyond is a new book series dedicated to new, experimental forms of architectural and urban writing. A bookazine in which an extended network of young and upcoming European architectural writers will be given the freedom to survey the outline of themes and things to come. In an age when conceptual thought is undoubtedly one of the rules of attraction, it is expected that writing may provide again an arena where images are returned to their original frame: the speculative imagination. By seeking expressions that may escape the academic circle and the simple service of the prevailing photographic image, Beyond will propose stories and essays that come near to fiction’s ability to prompt a deeper, appealing reflection on themes that concern us all.